Western Oz, this really is your last chance of 2019 to get behind your team. The Freo Docker’s take on the Kangaroos on Saturday evening, March 16, at the Fremantle Oval. 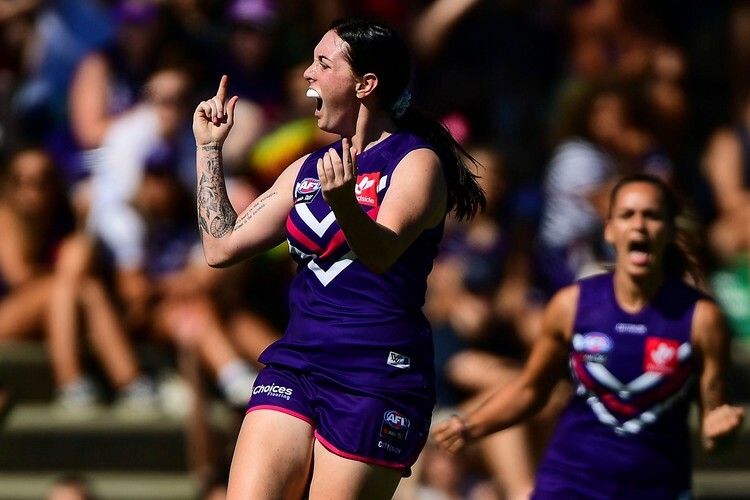 This is the 7th and final Round of the NAB AFL Women’s competition for 2019. Kicking back at the footy is one of the best ways to spend a Saturday arvo. And, because AFLW entry is free, you can invite your mates or your family and hang out. Arrive early with the kids for face painting and Freo Dockers Inflatable fun. A DJ will be getting that Summer festival feeling going, and the NAB Lounge will be set up for relaxing. Don’t miss this one. See you at the footy.